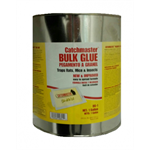 Trapper mouse or mouse and rat glue boards are Perfect for use in food plants, kitchens, restaurants, food processing plants, hospitals, residences, zoos and even other sensitive areasw here the use of poison is prohibited or discouraged! 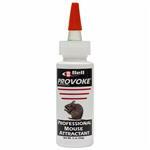 Trapper Glue Boards for Mice or Rats work without poison or mechanical means. When mice or rats run onto Trapper glue traps, they get stuck instantly, and you throw away the glueboard without ever having to touch the rodent. Trapper gluetraps will ALSO trap roaches & other crawling insects as well! This 2-Pack of trapper traps contains two face-to-face glue boards which will separate easily for placement and each measure 4.5" X 3"or 4.5" X 10".